Thoughts: Day 1 of the first global Earth diet Challenge! 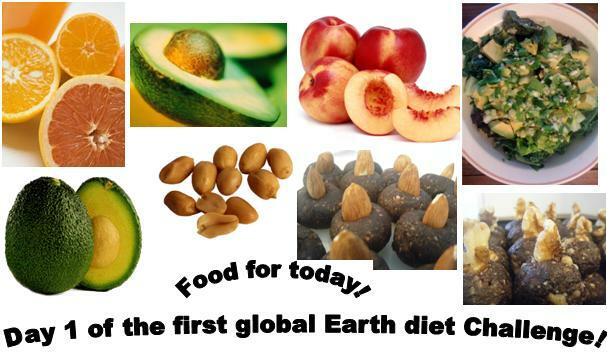 And in 12 days I will complete my 365 day challenge of eating only foods naturally provided by the earth! I will post a blog soon about my adventure along the way - people have asked me what I will do when I finish - and although I am curious to try an oreo stuffed with gummi bears which I previously loved - the thought doesn't entertain as much as creating a new flavour chocolate ball, (which we just got distribution for on Long Island New York!) this is my new lifestyle, and it's not a challenge for me anymore - it's who I am, it's who I've become, and it's been transformation in many areas in my life, and not just the physical. I will continue to live a simple and sustainable lifestyle, and eat only foods naturally provided by the earth, and will continue to grow and learn how this can be possible in the fast paced world. The first Earth diet Challenge is now closed - another 9 day challenge cleanse will begin in 9 days on Tuesday the 2nd of November. So the 1st day of November is there to get your mind around the idea of eating only foods naturally provided by the earth, what does that mean? what kinds of foods exactly? what to avoid? what do I eat now? And then on the 2nd we set an intention, you create your own challenge, and choose from the recipe plan we created, then we put it into action. -Food is an escape for me - I eat foods when I am not hungry for the sake of eating them. And I usually go for the sweetest things first like fruit and chocolate balls. If you do the same, join me in setting an intention before you eat, something like, I eat this food with the intention that it provides sustainability to support my physical existence. Dr. Wayne Dyer writes about intention and how it creates who we are in his book "The Power Of Intention". A sports champion Muhammad Ali taught us that the power of intention changes reality. Your health. Your career. Your world. I also wanted to share an email I got from Lauri who is one of the participants. Lauri has taken on the challenge cleanse for 9 days and this is what she intended to eat on her first day. -and, a salad for dinner - ingredients to be determined. Lauri also suggested for the people out there like her who live busy lives, to make juice and freeze it so you have juice for each day of the week and don't have to spend time each morning prepping a juice, possibly cutting vegetables, and then cleaning a juicer. Obviously the fresher the better for you, and if you are unable to spend that time in the morning, afternoon or night making fresh juice, then freeze it in mason jar or other glass container as soon as you make it! Another thing I noticed today was that my body is more acidic than alkaline. Lemons are more sour, ginger is spicy and I am moving slower and breathing shallow. 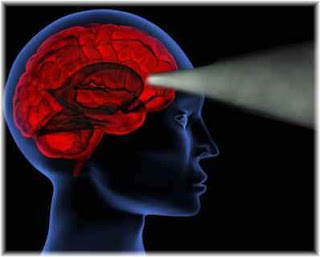 This is a body check that I have allowed my self to become acidic, using food and lower frequency thoughts. This Earth diet challenge cleanse is about becoming alkaline in all areas of your life, where no dis-ease can survive ;) My intention is to drink lemon juice in water each morning during the cleanse! Meal 1: A orange and grapefruit juice. Meal 4: A salad with green lettuce, baby spinach, coriander (cilantro), green and red capsicum with a squeeze of lemon. Exercise: A bike ride to the park with my beautiful husband :) It is my first time experiencing a season change where the trees leaves change colour and drop (my first time living in NY during this time of year!) so it was so refreshing to explore and hang out with nature today :) We breathed in deep amounts of fresh clean air!